Gen. Mohamed Abd El- Ghany El Gamasy the chief of operation authority in October war says (At 2 o’clock after noon of the 6th of October, the Egyptian planes crossed the Suez Canal heading to deferent Israeli defined targets in Sinai. Crossing the canal by our air forces with that huge number, flying at low height, has a great effect upon our ground troops and enemy forces on the battle front, our forces were full of trust and enthusiasm while the enemy forces were terrified. Our planes attacked three bases, airports, ten of anti-planes missile sites (Hock), three leadership headquarters, number of Radar stations and long range artillery sties. All targets were attacked, after planes took off from air bases and airports flying at low heights in different aviational lines, to reach their targets in the exact times. Our hearts in the headquarter of the armed forces were moving toward the air forces waiting for results of the first air strike, and waiting for the planes to come back to be ready for the following jobs. We were praying for pilots to succeed in their mission with minimum loss. Such air strike with that huge number of planes against important targets of the enemy under the protection of the opponent air defense, is expected to result a large loss in pilots and planes that can not be compensated. Source: October war 1973, Mohamed Abdel Ghany Al Gamasy, second edition 1998. The Egyptian military historian Gamal Hammad in his book “The war battles on the Egyptian front” said (On the 6th of October morning, at nine O’clock, Gen. Mohamed Hosny Mubarak called the air forces leaders to an urgent meeting in his headquarter and gave them the final plan of the Egyptian aviation mission. He asked them to move to the main operation center to allow everybody to take his place and be ready for the expected air strike. At 2 o’clock after noon of the 6th of October, more than 200 Egyptian plan took off from 20 airports all over the state. Upon accurate arrangements made under the air forces command, the huge number of planes managed to pass the confrontation line on the Suez canal at one moment, and on very low heights, the flocks of bombers and medium bombers were flying under the protection of fighter plans. Mig. 17, Mig. 21, Sukhway 7, Sukhway 20 plans were used in the air strike concentrated on Israeli targets deeply in Sinai, at 2:20 the Egyptian plans went back after finishing their mission through specific aviational tracks were defined by the commanders of air forces and air defence, according to time and attitude. The air strike succeeded in achieving its targets by 90%, while the loss was five Egyptian planes, the result of the strike was to immobilize three main tracks in El-Meleiz and Beer Tamada airport, in addition to three secondary tracks. Silencing about 10 of batteries missiles sites (Hock-surface to air) and 2 sites of field artillery. Destroying the main command headquarter in Aum Murgem , electronic jamming installations on Aum Khushaib and number of Radar installations. Some tactic bombers (L. 28) participated in the air raid and focused their shelling on Israeli fortress Budapest (one of Bar-Lev fortresses, east of Por Fouad city). It was decided to another air raid against the enemy on the 6th of October before sunset, but due to the first successful raid in achieving all tasks, the chief command decided to cancel the second raid. Source: "Military operations on the Egyptian front" by the military historian Gamal Hamad- 2nd edition 1993. Gen. Hassan Badri, Gen. Taha Magdub and Gen. Dia’Eddin Zuhdi mention in their book "War of Ramadan” saying (Our air formation headed to the east at the same time towards their bravely selected targets. for each formation there was a target that must be destroyed, mutual targets for emergency, stated direction, speed, and highness. -Meleiz, Tamada, Ra’s Nasrani airports were turned into ashes. -Ten Hock sites became nothing. -Long-range artillery sites were destroyed. -Three Radar sites, direction and alert centers were muted. -Aum Khushaib, Aum Murgem sites and three administrators areas were taken out of the enemy. -The strong point east of Por Fouad was destroyed. Source: "War of Ramadan. The fourth Arab-Israeli Round" by Gen. Hassan Badri, Gen. Taha Magdub and Gen Dia’Eddin Zuhdi.  Edition of 1974. The president said: “On the 6th Oct. I got into my office at the operations room at 12 noon. I woke up as usual and was keen on not to do anything extraordinary. I usually leave home at 7.15-7.30 am to arrive at my office early. On that day I intended to arrive at 8.00 am and stood in front of the office talking to chief of staff Gen. Nabil Messeri and chief of operations Salah Menawi. It was assumed for Gen. Messeri to head to Anshaas to supervise the protection of fighter bombers by Meg 21 existing in Anshaas. Gen. Menawi came to follow the movements and activities and I went there late intentionally at 12 noon. Why then? Because the air raids would start at 1.20 pm. especially for plans (missile bombers) coming from far. I came at the time to realize the situation on the map. But when I came I found no activity of our air forces and surely I worried and said if no air raids take place, there may be information moving to Israel that Egypt would do something… In fact I quarreled with commanders of formations and ordered them to get the air force do any activity and it happened, that two aircrafts for each air commander took off in 10 minutes… So I kept following until 1.15 approximately. There was an activity for the Israelis (an aircraft to take off and round then to land). At 1.20 bombers began taking off and those movements were protected according to what was followed in an accurate arrangement with all other armies (missiles, anti artillery, etc.) and Gen. Salah Menawi followed this position and all aircrafts took off with no least wireless communication, agreeing upon specific signals. At 2 pm aircrafts were passing the canal and the operations began from that place I followed the beginning of the raids and worried at first of course, then the aircrafts came back and I was interested to know the result of the situation. People of the base told me then that 11 aircrafts only were shot, as I remember, and I began to feel extra confidence. I phoned the operation center of the armed forces where president Sadat and Marshal Ahmed Ismael were there and they had not yet realized the situation as they obtained the information from me. I told the Marshal about it all and one of the planes was (Atef Sadat) brother of president Sadat and asked the Marshal not to inform president Sadat about that. He congratulated me and agreed with me not telling Sadat about his brother. They informed Sadat that the raid was completed successfully and Sadat said congratulation! We will win. Q: Did you estimate a certain loss of aircrafts? President Mubarak said: The Russians told us that the first raid will not be enough and we will lose 25% meaning about 60 aircrafts and that in the second raid, the Israeli defense will wake up so will lose 33% which means we will have no other aircrafts, but what happened was that the 1st raid was completed and it achieved the task and there were no other targets to be shot.